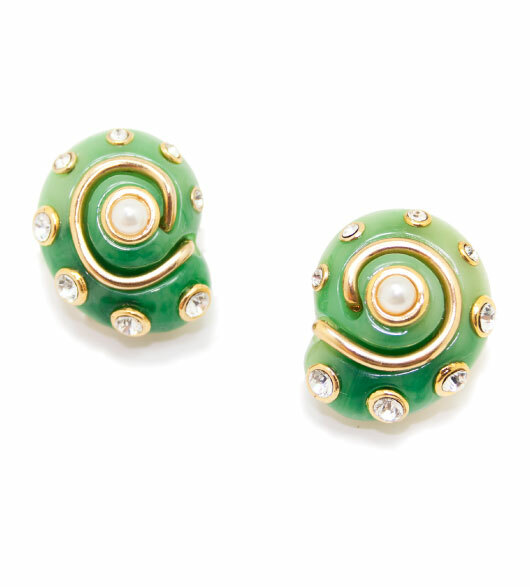 Be near the ocean without taking a trip with these shell earrings from the Kenneth Jay Lane. Each shell has a unique stone design. 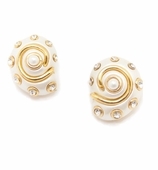 These earrings are classic and elegant interpreted in lustrous shell earrings with gold plated accent. 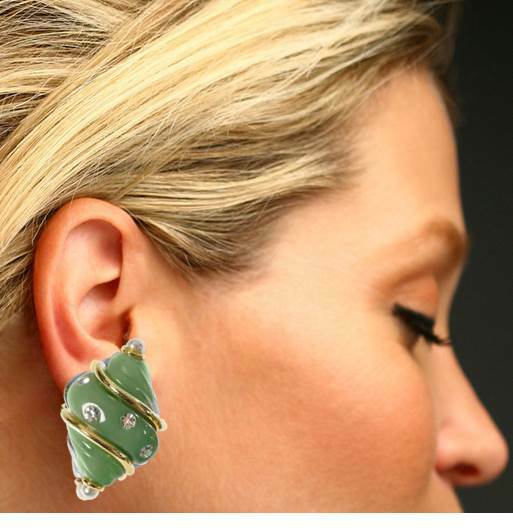 The earrings are both combine art and nature. 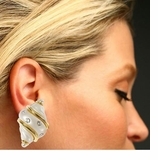 Kenneth Jay Lane is known for designs that are at elegant and come from nature like these shell earrings. 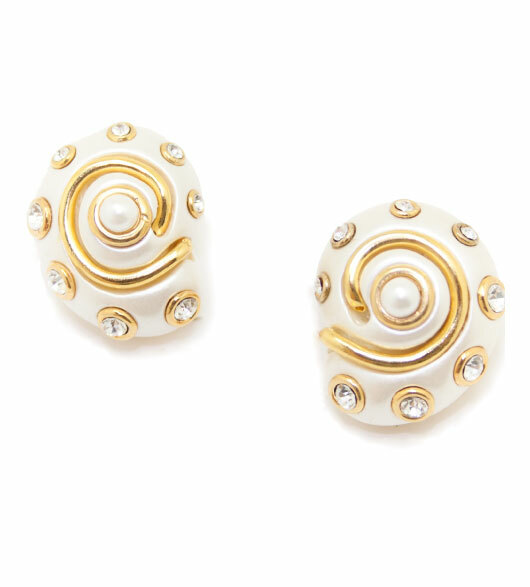 Crystals & pearls make ordinary shell earrings elegant. 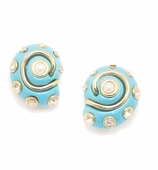 These are clip on earrings every woman can wear. They are inspired by American jeweler, Seaman Schepps. 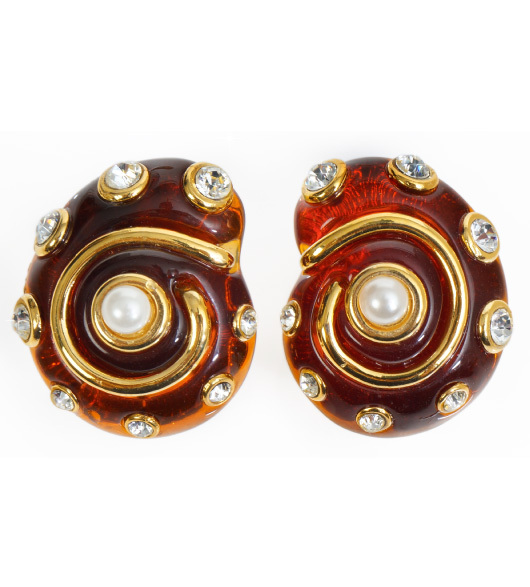 Original Seaman Schepps shell earrings sell for thousands of dollars. Our costume Kenneth Jay Lane earrings are copies for when you just don�t want to worry so much or �shell out� the investment for the real rubies and diamonds that Seaman Schepps uses. 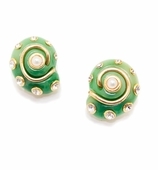 Clip on shell earrings. Made by Kenneth Jay Lane. Resin, Swarovski crystals and pearl center. Dimensions: 1 1/4 " H x 1" W.
Read more about Seaman Schepps shell earrings below. American jewelry company Seaman Schepps is a rags to riches story. The founder, Seaman Schepps, was an immigrant who grew up on the lower east side of Manhattan. He founded his jewelry business in 1904. 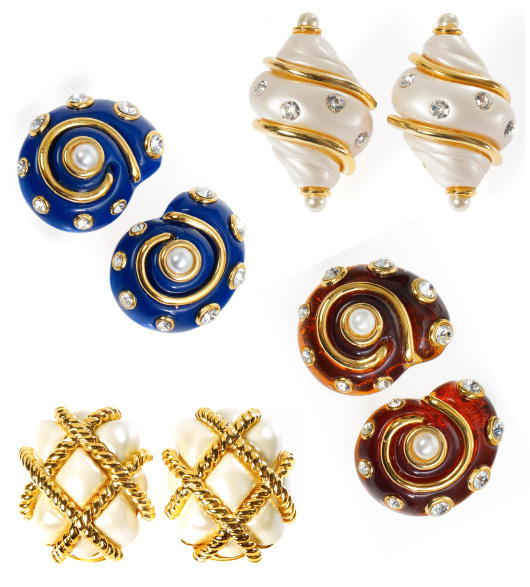 By the 30's, 40's and 50's, his chunky style of jewelry, like his signature shell earrings were all the rage with the editors of Vogue and Harpers Bazaar. Women flocked to the store. 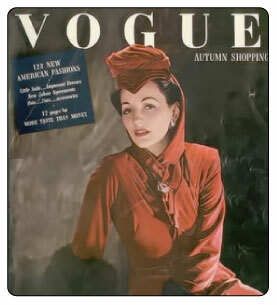 Katherine Hepburn and other celebs wore Seaman Schepps. Today, the flagship Seaman Schepps store is on Park Avenue and 58th Street in New York, a long way from the lower east side. 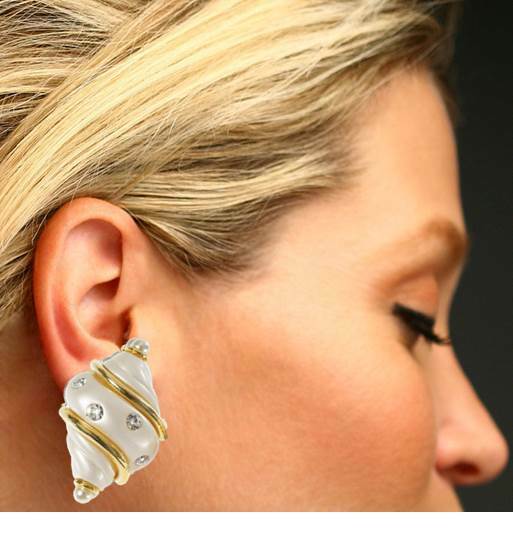 Our shell earrings, inspired by the original Seaman Schepps jewelry honors American style and makes fabulously designed shell earrings accessible to those of us who have "champagne taste." Whether you are going to a black tie or on a beach vacation, Kenneth Jay Lane shell earrings are a stylish accessory to complete an outfit. 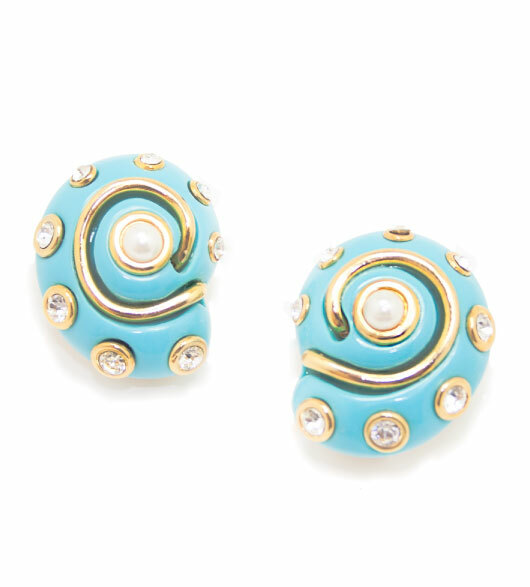 Pair our Kenneth Jay Lane pearls and turquoise beads with shell earrings for a great look! 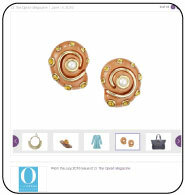 See our Shell Earrings in Oprah Magazine and on Oprah.com.